BWL WINS SABRE AWARD FOR THE SECOND YEAR IN A ROW! More Gold for BWL ! We are so excited to have been awarded another SABRE award, for the second year in a row! Last year we received the Gold SABRE Award and Certificates of Excellence for our work with Jameson Irish Whiskey and Martell Cognac respectively. This year, our hard work did not go unnoticed. We were announced as winners in the Media, Arts and Entertainment category, and received a Certificate of Excellence for the Gold Sabre, Western Africa for our work on The Homecoming. The Homecoming, founded by Grace Ladoja MBE, Skepta and BBK Africa, is a three day cultural exchange which takes place annually in Lagos. The event features art, fashion and music, with performances from an extensive list of local and diaspora artists. 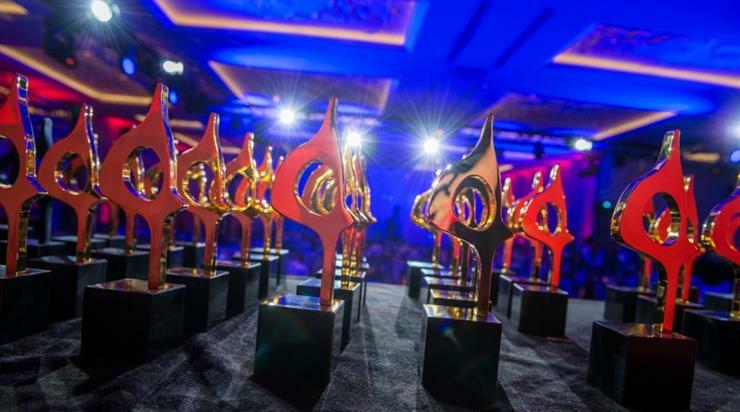 The SABRE ( Superior Achievement in Branding, Reputation & Engagement ) Awards is the world’s largest Public Relations awards program, which recognizes outstanding PR work from agencies all across the globe. This year, the award ceremony is set to take place on May 16th in Kigali, Rwanda. We could not have achieved this without the amazing Homecoming team and this year again, we will be leading the press office for this amazing event! Thank you to the homecoming team for your support and for trusting us to make your dream a reality! We look forward to working on more groundbreaking campaigns! 2018 was such an Incredible year for us at BWL Agency! The year started with some amazing highs from winning big at The Sabre’s, our founder making the Forbes 30 Most Promising Young Entrepreneurs in Africa to our insightful PR workshops. In November 2018, the All Africa Business Leaders Awards, AABLAs, one of the world’s most prestigious business awards that recognises outstanding individuals who are defying the status quo in their communities and the industry, in partnership with CNBC Africa announced the 2018 West Africa finalists. After a rigorous and extensive selection process, our founder Ronke Bamisedun, emerged as a finalist in the category- Young Business Leader of the year for West Africa. 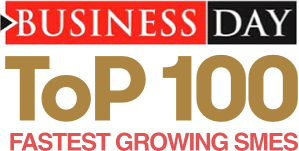 To end the incredible 2018, we were shortlisted by Nigeria's leading finance and market intelligence news report, BusinessDay, as one of the Top 100 Fastest Growing SME’s in Nigeria! Last year was a great year for the company with multiple awards, certificates and recognition. This year promises to be even more remarkable and we have hit the ground running! We won Gold! We are thrilled to have won the Gold SABRE Award for the best Public Relations campaigns in Western Africa, how cool is that? We were also awarded two certificates of excellence in two categories and shortlisted alongside some of the largest brands and agencies in the world for The Platinum SABRE Award for Best in show, the highest category of the award. BWL was the smallest of all the agencies shortlisted for this prestigious award. Albeit small, we are mighty! Our unique disruptive campaign for Jameson Connects Nigeria secured us The Gold SABRE Awards and The Platinum SABRE Award shortlist, whilst the fun curiosity led FOLLOW THE SWIFT campaign we implemented for Martell Cognac earned us certificates of excellence in the practice area categories: Marketing to consumers (new product) and Food and beverage. We were also shortlisted as finalists for the 2018 SABRE EMEA from over 2,500 global entries, nominated for The Gold SABRE AWARD under the geographical category of Africa! This amazing recognition of “Superior Achievement in Branding, Reputation and Engagement” for our Jameson Connect campaign was evaluated and selected by a panel, of over 40 industry leaders as part of the best work in Africa. The SABRE (Superior Achievement in Branding, Reputation & Engagement) Awards is the world’s biggest Public Relations Awards Program, dedicated to benchmarking the best PR work from across the globe. The award ceremony took place on Thursday May 10th 2018 in Gaborone, Botswana. We could not do this without an amazing team or client! Thank you to the Pernod Ricard team for having us as an extension of their team and for trusting us to bring to life their vision. We can't wait to develop more award winning campaigns! Our amazing founder Ronke Bamisedun was recently profiled by Forbes Africa as one of the 30 remarkable young entrepreneurs transforming Africa today. The seventh annual Forbes 30 Most Promising Young Entrepreneurs list was published April 2018. Ronke was selected from over 650 nominations by a panel of A-list judges. Super proud of our founder! We hosted our very first PR workshop, Saturday June 30th titled PR101. Of course the first speaker was our founder Ronke Bamisedun! It was super informative, interactive and so much fun! We covered the basics of PR, such as The art of storytelling, Drafting a press release and Reviewed some of the the world's best PR campaign to name a few. We looked at how traditional PR has lost its relevance with digital and new media changing how brands communicate with their audience. We were joined by Lanre Odutola, a seasoned Digital and Marketing specialist. . Lanre has deployed disruptive campaigns for brand such as Diamond Bank, Knorr amongst others and currently works with Pernod Richard as a community Manager on Jameson, Martell, Chivas, Absolut and G.H. Mumm to clearly interpret their goals and develop their identity through disruptive and seamless solutions. This workshop showed how to integrate digital into your PR campaign to boost your brand's success! The Workshop targets anyone interested in communications as a career or small business owners, needing support with creating awareness for their venture. Over the next few months we will be hosting a half-day session, once a month that will touch on marketing, branding, advertising with the aim giving a birds eye view of the industry to future communicators and business owners. The workshop is FREE, however, we only have 30 slots available per session on a first come, first served basis. If you are interested in joining us at our next session, please send an email to hello@bwlagency.com with your full contact details and why you would like to participate.